The independent path-matching problem is a common generalization of the matching problem and the matroid intersection problem. Cunningham and Geelen proved that this problem is solvable in polynomial time via the ellipsoid method. 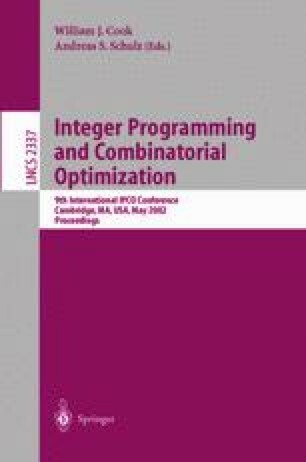 We present a polynomial-time combinatorial algorithm for its unweighted version that generalizes the known combinatorial algorithms for the cardinality matching problem and the matroid intersection problem. Supported by the European DONET program TMR ERB FMRX-CT98-0202.